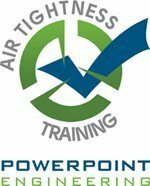 The ‘Air Tightness Testing’ training course is run over 4 consecutive days at the Enterprise Centre in Cloughjordan, Co. Tipperary and is run in conjunction with our accredited training partner, Infrared Training Limited, sister company to the Infrared Training Limited. The cost of this 4 day course is very competitively priced at €1,495 per person. You can view the next scheduled courses on our dedicated website www.thermalimagers.ie or call us on 057 866 2162. To understand why permeability testing is a requirement. What is required and how do you comply? Regulations for testing and reporting. Using ATT equipment, structure preparation and reporting results. The exam is divided into 3 separate sections. All 3 must be successfully completed to pass. On successful completion of the exam you will be issued with “ATT” Training Cert. Our 4 Day ‘Air Tightness Testing’ Training Course is comprehensive and covers latest standards. Due to changes in the field of Air Tightness Testing and the introduction of new competency schemes, our course structure has been updated to reflect the new National Occupational Standards (NOS). Any personnel interested in using Thermal Imaging to reduce energy consumption, improve condition monitoring of assets and determine energy loss from mechanical, electrical, process and buildings assets. For further information on Air Tightness Testing Training and next available course dates, contact us on 057 866 2162, contact us or visit our dedicated website, www.thermalimagers.ie. We would be happy to answer any questions you might have.